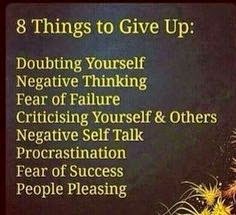 People pleasing are the fears, successful at doubting yourself. Criticized by others the negative talk only failure, called yourself starts negative thinking & criticizing & never thinking for yourself..
Procrastinating People Pleasing, always doubting you thinking; it’s the negativity of self thinking, only negativity of failure complete procrastination by the pleasing of other people criticizing indignant to your own dignity, fears are the only understandings of criticizing negative thinking from People Pleasing, negative thinking, doubting to find your own self..
Own Self, never doubt the thinking of others negatively criticizing it’s people who are doubting the fear to find the failure of their own self. Positively, Own Self it’s an inspiration to the dedication to our Own Self, thinking pleasing the conception of the acceptance..
Own Self now, the failures are the others negatively criticizing of their own self success is positive thinking only by the aspiration to take the moral inventory of our Own Self & reconfigure for alignment, intrinsic to reference of Own Self oh’ the beauties.